Chicago's, "Does Anybody Really Know What Time It Is?" "Does Anybody Really Know What Time It Is?" was the super group, Chicago's, first top five hit. Released late in 1969 and going near the top in early 1970. With an upbeat jazz tempo, but with a very serious message about what seemed to be the lack of caring (that very well could be depressing) it is interesting that it made it into the top five (#3 to be exact). At the end of the song, "cry" is turned into "die". 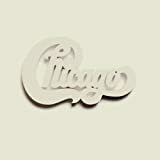 Chicago's, "If You Leave Me Now"
The song has a very beautiful, if mellow, introduction, but for the whole song, the singer is whining and begging his lover not to break up with him, threatening her with claims that the consequences will be too great for him to bear if she does.